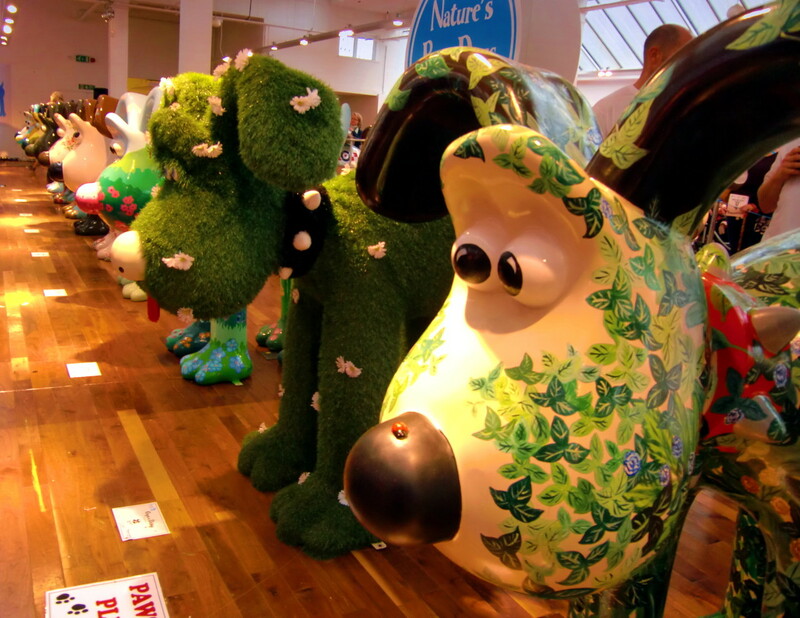 Home » Lifestyle » Gromit Unleashed! UWE Journalism student Claire Herbaux reviews the fantastic exhibition of Bristol’s very own Aardman Animation themed Gromits. A concert, a film premiere, maybe the release of the Harry Potter books a few years back – that’s about the only things most of us would be willing to queue for almost an entire working day; But for a dog show? Probably not. This however, is The Greatest Dog Show on Earth! 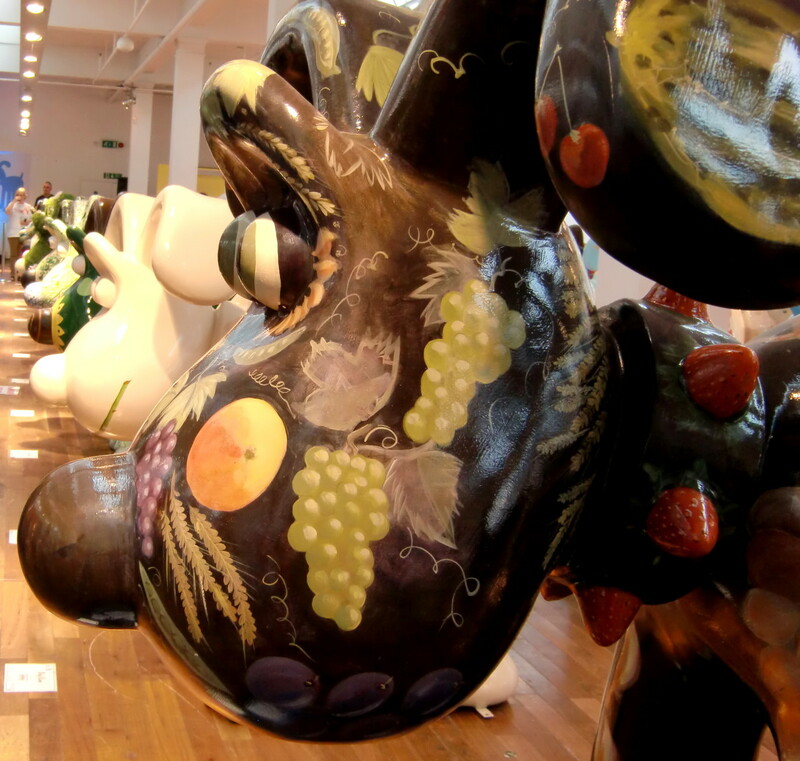 Anyone visiting Bristol this summer will have noticed the cute and colourful Gromit statues around the city. And for those who didn’t (and even those who did) they have all been on display at Beacon House on Queens Road since the 18th September and around 25,000 people came to see them! People waited for up to 8 hours on Saturday and the queue had to be closed temporarily due to the high number of visitors. People lined up all along Whiteladies Road, and on various side roads, just to get a glimpse of the whole collection. Despite the 5,000 people waiting to get in each day, the atmosphere was surprisingly good! There was not the whining of small children or the annoyed voices of people who have been standing for 5 hours you would expect, but instead kids played in front of houses on Whiteladies Road, naming as many Gromits as they could, you could hear regular cheers when people reached the milestone in the queue and generally friendly chatting with people in front and behind you. If you didn’t know someone when you started queuing, eight hours later you had time to get to know each other and share thoughts on how to heal aching feet after all the standing. All this to see Gromit Unleashed once again before they leave Bristol! 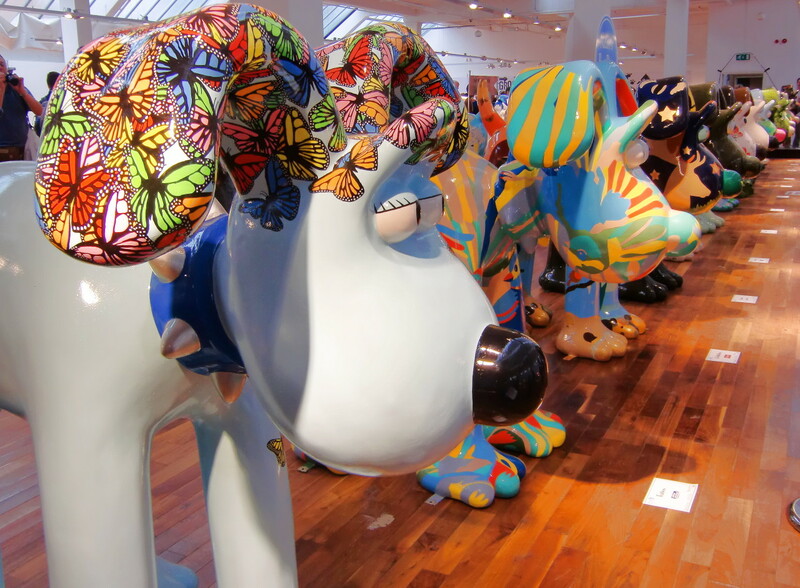 The 80 statues were a fundraising idea to raise money for the Bristol Children’s Hospital Charity “Wallace & Gromit’s Grand Appeal” and all proceeds of the trail are used to support the specialist paediatric healthcare the charity provides. Bristol Children’s Hospital is one of the only specialist children’s hospitals in the UK and is expanding to offer life-saving treatment to even more children. 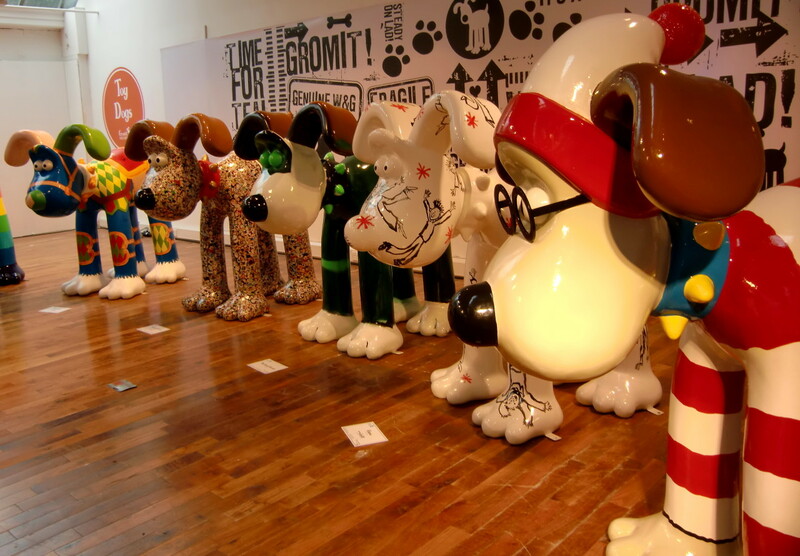 Since the beginning of July the ‘pooch’ statues have been dominating the streets of Bristol and people could explore the city with a Gromit map or following the instructions to take them all around the city, to Cheddar Gorge and Westonbirt and all the way to London Paddington to see every single one of the 5ft dogs. Each sculpture has been designed by a different artist or celebrity and as diverse as the artists are the designs of the dogs. Some were real Bristolian Gromits, depicting Isambard Kingdom Brunel, the Suspension Bridge, the Bristol-based International Balloon Fiesta and the colourful “Bark at Ee” created by Bristol born artist Leigh Flurry, full of Bristolian phrases. Other artists got their inspiration from the Wallace and Gromit films or even from the location they would be placed at. The trail around Bristol lasted for 10 weeks and was seen by over 200,000 people, raising thousands of pounds for charity. And still, people were queuing in what has been renamed as “The Greatest Queue on Earth” to see the 80 sculptures together and including an 81st sculpture which has yet to be named. Visitors could enter a competition to name the dog. He was carved at the annual Treefest in Westonbirt Arboretum as a companion for Eldoradog, who lived there during the 10 weeks of the trail. In the five days of the exhibition, visitors have emptied the gift shop of all figurines, clothing and other souvenirs. Both the £4 entry and the gift shop sales go directly to the Grand Appeal. Just like the Gorillas in 2011, the Rhinos in Southampton this summer and the swans in Wells a few years ago, the Gromits will be auctioned off for charity on the 3rd October. WesternEye will be there to cover the event and give the details of how far your student loan would have to stretch to have a token Gromit in your possession. This article makes you feel the extraordinary atmosphere that must have reigned in Bristol these days and you can only deplore having missed this great event.